Sowing Up A Tray Of Nicotiana ‘White Trumpets’. 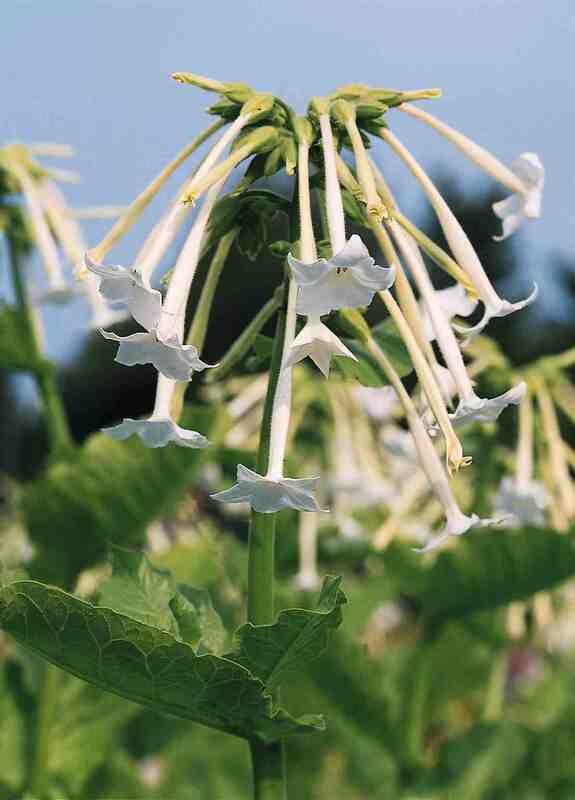 It was Great Uncle Lucian Higgledy who said on his death bed that the Higgledy family would befall a terrible curse if they were ever to have to stop growing Nicotiana ‘White Trumpets’ in their empire of cut flower gardens. But then Lucian was always a little ‘confused’…I remember with great fondness the Christmas when in all of a fluster he covered the festive cake not with marzipan but with Tamazepam…none of us woke up until the new year….oh how we laughed. I like to err on the side of caution with regard to the curse of Lucian and I always grow a patch of ‘White Trumpets’…happily I am delighted by the critters. Nicotiana release the most intoxicating scent in the evening…I like to grow some under the windows outside and let them fill the shack with their heady vibe as the summer sun sinks toward the sea. *Here in Cornwall I usually start sowing in mid March but leave off most of my sowing until April….there is little advantage in sowing early other than it scratches an itch. I would recommend that for most of the UK that the sowing of annuals should always be held off until April…mid April for direct sowing in the soil. If the soil temperature is not warm enough then your seeds won’t germinate and they will be food for the creatures of the night. In the old days I used to sow in modular trays like these which is fine…but now I use pots of the same dimensions as I can reuse them and by doing so I can save the world and impress girls. *I like to sow my seeds into 3 inch square pots. This way, when they germinate I simply remove all but one seedling from the pot and she can stay put for six weeks….then in May (after the frosts) she can be acclimatised to the perils of the outside world and planted in the garden. *Sow the seeds REALLY thinly….this is hard to do as the pesky seeds are like dust. Some folk mix the seeds with a little sand first. I just put the tiniest pinch into each pot….and still this is usually too much…. 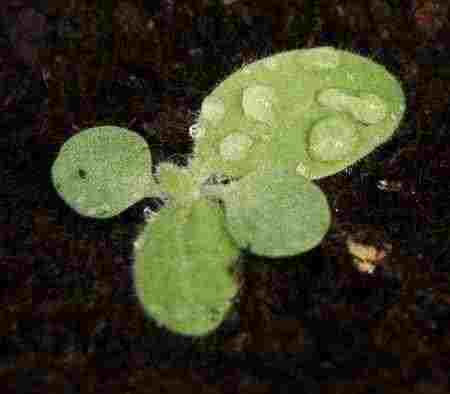 *Don’t cover the seeds…they need light to germinate. 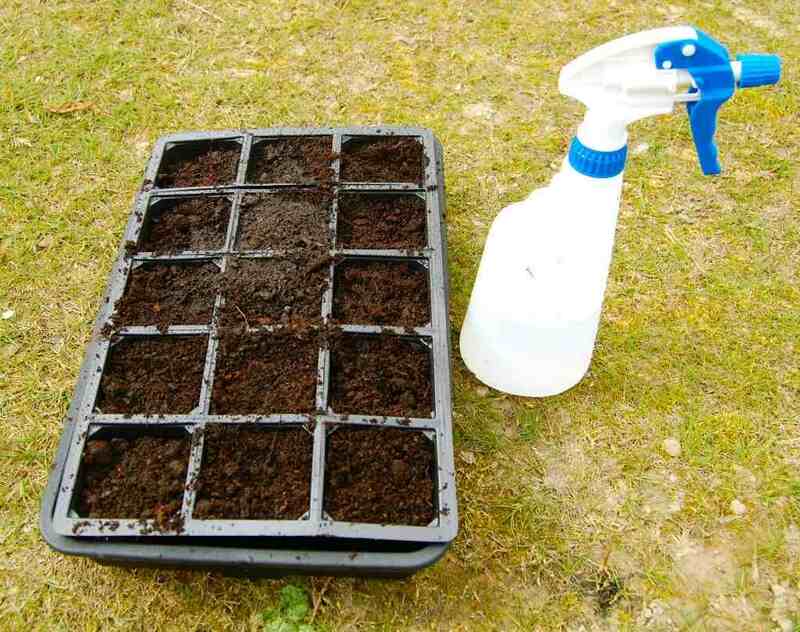 *A spray bottle is very handy for keeping the compost damp (not wet)…I cover the tray with a single sheet of newspaper which allows enough light through whilst keeping moisture and air in. *If you have an airing cupboard you can chuck out all the sheets and towels and anything else that looks folded and boring…and fill it up with seed trays. I have found this is much easier to do if one is a bachelor. Cover the tray with a single sheet of newspaper…preferably one with the graven image of a lost rock star. *Space plants in your cutting patch at about a foot and a half apart. These wonderful plants can reach five foot…so they prefer a little shelter if you have some. TOP TIP! Be aware how many plants (Of all kinds) you will be planting in your cutting garden…a rule of thumb is nine per square meter…it is all to easy to end up with hundreds of seedlings all vying for space on your windowsills or in your greenhouse when in fact you don’t need them all. Why give yourself the extra work? The weekend is on the way…I hope you all have a swimmingly good time of it. When To Sow Your Flower Seeds. (Don’t Sow Too Early!) Spacial Awareness.